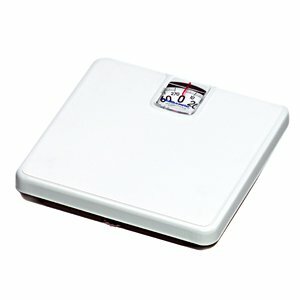 Health-O-Meter Dial Scale The Health O Meter Dial Scale combines economy with accuracy in a home care scale. Steel base,non-slip mat, easy-to-read dial. 270lb weight capacity with 1lb gradations. 1 year limited warranty. Product weight: 14lbs (in carton).